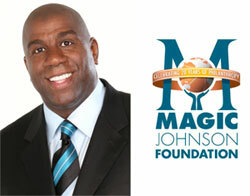 Nationwide (BlackNews.com) — In 1998, Magic Johnson, through his Magic Johnson Foundation, created the Taylor Michaels Scholarship Program, named after Taylor Michaels, one of his former employees who passed away during that year. Throughout her life, Taylor was known for displaying an intense passion and commitment to youth development, and so for the last 14 years, he has carried her passion forward via the scholarship program. Each year, they select approximately 30 scholars who demonstrate a strong potential for academic achievement, but face socioeconomic challenges hindering their full expression. Winners will get $2,000 – $5,000 annual tuition assistance-renewable up to 5 years, and a free laptop during their freshman year. They will also have access to internships and mentors. Applicants must be graduating high school seniors that are planning to attend a four-year college in the fall, must have and maintain a minimum Grade Point Average (GPA) of 2.5 on a 4.0 system, and must reside in certain metropolitan areas. The deadline is February 2, 2013. Incomplete and late applications will not be accepted. 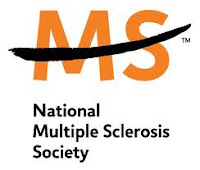 National Multiple Sclerosis Society Mid America Chapter Scholarship provides an opportunity for high school students or graduates who have been diagnosed with multiple sclerosis, or whose parents have MS, to attend college. Students applying can enroll full-time or part-time in a four-year college or two-year technical school. The scholarship is not renewable; it can be used in the freshman, sophomore, junior or senior year of college. Applicants can be citizens of the U.S., Puerto Rico, U.S. Virgin Islands, Guam or any other U.S. territory. They must be attending college for the first time. 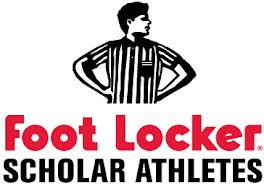 Foot Locker Scholar Athletes program gives high school students who are active it sports and in their communities, as well as outstanding students, an opportunity to win a $20,000 college scholarship. Students must be planning to attend a four-year college. 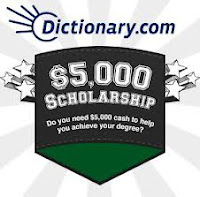 Dictionary.com $5,000 Scholarship is a contest open to all students to enter and win a college scholarship. Students create a two minute humorous video explaining what the scholarship will mean for them. Students need to complete the submission form on dictionary.com, then post their video on YouTube. The winner will receive a college scholarship. The contest is open to students at least 18 years of age. Students from all states except Alaska and Hawaii may enter, including the District of Columbia. 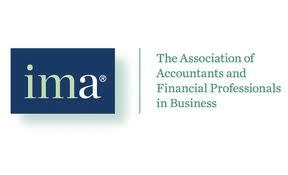 IMA Scholarship Program is sponsored by the Association of Accountants and Financial Professionals in Business organization. It is open to students currently enrolled in college and graduate students who are studying management accounting or financial management. National Italian American Foundation Scholarship is open to outstanding students who are Italian American and to students of any ethnic background planning to major or minor in the Italian language, Italian studies, or Italian American studies. The scholarships are based on academic merit. Qualifying students must have a grade point average of 3.5 or above, be U.S. citizens, and enroll in an accredited college or university. The scholarship covers tuition, room and board. Eligible students include undergraduate, graduate, post-graduate, medical, dental, and legal students. Students considered to be Italian American must have at least one ancestor who immigrated from Italy. The National Italian American Foundation (NIAF) was formed in 1975 in Washington, D.C. and is a non-profit organization that supports the culture and heritage of Italian Americans. Other educational and youth programs funded by NIAF include grants, heritage travel, and mentoring. The deadline for this scholarship is usually in MARCH of each year, and the award amount is usually $2,000 – $12,000 . The late former Congresswoman Shirley Chisholm was the national spokesperson for Educate Black America until her death in 1995. NSA Foundation Scholarship Fund is the charitable arm of the National Speakers Association. The foundation awards four $5,000 scholarships each year to college juniors, seniors or graduate students who are pursuing a degree with either a major or minor in speech. Students must be pursuing a career as a professional speaker. The four scholarships are the Earl Nightingale Scholarship, named after Earl Nightingale, an American motivational speaker and radio legend; the Nido Qubein Scholarship named after the NSA Foundation founder; the Cavett Robert Scholarship; and the Bill Gove Scholarship. Students must demonstrate academic excellence, financial need and study speech or related fields such as communications. They must also be enrolled full-time at an accredited college or university. The National Speakers Association (NSA) Foundation established the scholarship program in 1989 to encourage more students to pursue a career as a professional speaker. Over $350,000 in scholarships have benefited communication students. NYS Scholarships for Academic Excellence are awarded to outstanding students in the state of New York who are planning to attend full time a four-year college or university in the state of New York. It is available to U.S. citizens. 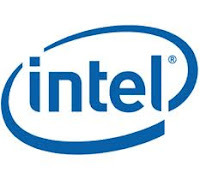 The scholarship is administered by the New York State Higher Education Services Corporation and is offered through the New York State Education Department. It is a state scholarship with awards based on Regents exams test scores. Each year, 2000 scholarships of $1,500 are awarded and 6000 $500 awards. The scholarship is renewable up to five years of college attendance. Students will be tested in areas such as English, Algebra and Trigonometry, global studies, history, government and science. Test information is available through high schools, and students are nominated for the scholarship through test scores. The deadline for this scholarship is usually in DECEMBER each year, and the award amount is usually $500 – $1,500. Glenn Miller Scholarship Competition is open to high school seniors or college freshman who are interested in a career in instrumental music or singing. Students must compete for the scholarship by submitting a CD of their vocal or instrumental performance and compete for the final award. Students may apply in one category only, instrumental or vocal. A total of three vocalists and three instrumentalists will be chosen to receive scholarships. The scholarships may be used for educational expenses at any four-year college or university. The scholarship competition is open to both U.S. and non-U.S. students. Funding for the Glenn Miller Scholarship Competition comes from the Glenn Miller Birthplace Society based in Clarinda, Iowa. Since 1976, the organization has been awarding scholarships to support musical leaders of tomorrow with educational expenses. 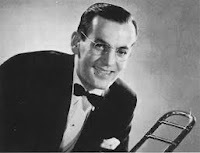 Glenn Miller was born in Clarinda, Iowa, and became one of the most popular Big Band performers during the 1930’s and 1940’s. His music remained popular worldwide throughout the years. The scholarships were initiated by Clarinda citizens who loved his music and decided to honor him by encouraging more young people to consider the field of music as their career. The deadline for this scholarship is usually in MARCH of each year, and the award amount is usually $1,000 – $4,000. Siemens Merit Scholarship Program awards are open to high school students who are children or dependents of full-time employees of participating Siemens Divisions. The scholarships are funded by the Siemens Foundation and awarded through the National Merit Scholarship Corporation. Eligible students must meet all requirements for participation in the National Merit Scholarship Program. They must plan to attend a college or university full time and are also required to take the PSAT/NMSQT prior to applying for the scholarship in their junior year of high school. The Siemens Foundation supports educational programs in science, technology, engineering and math in the United States with financial assistance of more than $7 million annually. The National Merit Scholarship Corporation (NMSC) is a non-profit organization that recognizes outstanding students. Through donations from corporations, foundations and other organizations, they are able to award scholarships to undergraduate students across the U.S. The deadline for this scholarship is usually in APRIL of each year, and the award amount is usually $4,000. Nissan Scholarship is open to students from Mississippi who are planning to attend a public college or university in the state of Mississippi. Eligible students must demonstrate financial need and also have leadership capabilities. Students must enroll full-time in either a two-year or four-year public college or university. Minimum scores required include a grade point average of 2.5 or above, an ACT composite of 20, or a combined SAT score of at least 940. The scholarship is available to U.S. citizens only. The number of scholarships awarded by Nissan North America varies each year. The dollar amount of the scholarship generally covers full tuition, fees and a book allowance. The scholarship is renewable up to four years at a public university in Mississippi. The Nissan Foundation, founded in 1992 in Los Angeles, funds the Nissan Scholarship. 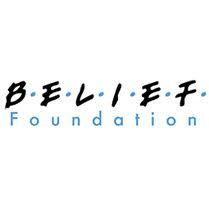 The Foundation has given over $6.4 million to over 100 nonprofit organizations in the U.S. during the past 20 years. Students interested in applying for the Nissan Scholarship may visit the Mississippi Office of Financial Aid to complete the application online. The deadline for this scholarship is usually in MARCH of each year, and the award amount is usually $5596 – $5652 . ThanksUSA has established a scholarship program to assist dependents and spouses of U.S. military service personnel, including spouses and children of the Fallen and Wounded, who plan to continue their education in college, vocational or technical school programs. Scholarships are offered to dependent children for full-time study at a United States accredited institution of the student’s choice. To find out more about Harvard offering free tuition for families making less than $60,000 a year, visit Harvard’s financial aid website at:http://www.fao.fas.harvard.edu/or call the school’s financial aid office at (617) 495-1581. Plan on attending an accredited four-year college or university during the four years over which the scholarship is distributed. The scholarship is paid out in equal installments of $2,500. 1. Wake Forest University has an opportunity for minority students to attend its MBA program for FREE, and so far, the response has been very poor. Please pass along this opportunity to your friends, families. This is a great school and a tremendous opportunity to attend a top graduate school. See the details below, the contact person is: Derrick S. Boone, Ph.D., Associate Professor of Marketing, Rm. 3139 Worrell Professional Center, Babcock Graduate School of Management – Wake Forest University WINSTON SALEM NC 27109-8738 email: derrick.boone@mba.wfu.edu or visit www.wfu.edu toll free (866) 925-3622. 2. Black Male Teachers needed. Do you know any Black Males who are seniors in high school who want to go to college out of state for FREE? The CALL ME MISTER program is offered by 4 historically black colleges in South Carolina, Benedict College , Chaflin University, Morris College and South Carolina State University – visit the www.callmemister.clemson.edu/index.htl for details online application or call 1.800.640.2657. 3. Harvard University is offering free tuition to families of HONOR STUDENTS if their income is less than $125,000 per year. Visit www.fao.fas.harvard.edc or call 617.495.1581. 4. Syracuse University School of Architecture is desperately seeking young women and men of color interested in pursuing a 5 yr. professional degree in Architecture. Contact: Mark Robbins, Dean School of Architecture, 201 Slocum Hall, Syracuse, NY 13244-1250 (315) 443-256 www.soa.syr.edu/indes.php. 5. APPLY NOW – If you have/know young adults between the ages of 18-31 with a High School Diploma. The Federal Aviation Association is taking applications for Air Traffic Controller School visit the website www.faa.gov/jobs_opportunities/airtrafficcontroller. 6. The Jack Kent Cooke Foundation, http://www.jkcf.org/, is offering two scholarships. The undergraduate transfer scholarship offers $30,000 per year to community college students to complete their bachelor’s degrees at a four-year college or university. The application is on line and the deadline is December 6th. The Foundation’s graduate Art Award provides up to $50,000 to students or recent alumni with exceptional creativity and for up to three years at an accredited graduate school. The online application will be available November. Because of the generous gifts from the business, political and social communities, HoustonWorks USA provides funding for educational Scholarships. Applicants must be 17 to 21 years of age and should possess a GPA of at least 3.0 to be eligible. The Scholarships will assist youth with educational funding for attending local colleges, universities, apprenticeship programs and vocational training schools. The HoustonWorks USA Scholarships are merit-based educational grants.